Over the years in the videography business here in Kilkenny and Tipperary I have heard it all, with wedding speeches anyway! I remember 15 years ago at weddings, the smokey hotel function rooms and the speeches that were short and to the point. As time went on the smoking ban arrived and the speeches got longer & longer for some reason. How long is a good speech? Well I guess the way to answer that is how long in a piece of string… who knows, but the attention span of your guests should not be over looked. 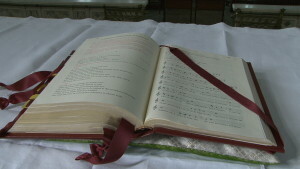 The total duration of the wedding speeches is usually 20 to 30 minutes max. If you want your wedding speeches to be short, then you have to make sure all the speakers know their limits and no more. Long speeches can risk repetition and guest boredom and I have see this while videoing weddings all over Ireland. My advice to couples that ask about what I think regarding speeches is this: I tell them it’s their day but just to be aware a short speech is always remembered and spoken about later, a long speech is soon forgotten because it was too much for people to take in. Also bear in mind that if the speeches are after the meal and are long winded, people get fed up as they need to stretch their legs. I have heard horror comments after the speeches from guests after sitting for nearly an hour listening to a guy that “loves his own voice!” but as I emphasise – it’s your day and your speeches. The traditional scenario of having the speeches after the meal is fine as well, but think of the groom & best man and also the dads all sitting there eating their meal thinking the speeches have to be done soon – it can and will put them off their meal. 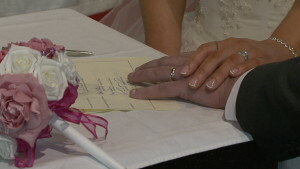 A trend that is becoming increasingly popular is to have the wedding speeches before the meal. This really helps people who have a speech to deliver and are somewhat anxious about making it. This will have to be arranged with your hotel in advance so that they can Plan to accommodate it with your meal. 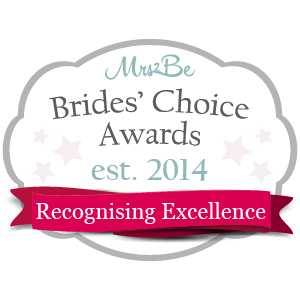 Last Wednesday evening I got word that I had won the Mrs2Be brides choice awards for wedding Videography in Ireland! 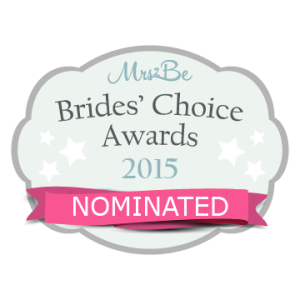 The Mrs2Be Brides’ Choice Awards were launched in 2014. The awards are the first and only Irish wedding industry awards that are based on a detailed review process involving each entrant’s previous customers. Entrants are judged on a range of criteria including professionalism and quality. Entrants are judged primarily via a review system involving previous couples who have recently used their service. These reviews are independently verified and cross-referenced to ensure credibility. I was nominated last year and was honoured to become a finalist. This year I was nominated by a couple whose wedding I filmed early in 2017 and I progressed once again to the finals, but this time I went all the way and won! It’s a nervous wait to see how things go with the judges and of course how the couples vote. But as I always say, every wedding video I complete is a winner for me – when I get an e-mail, text, Facebook review or a phone call to say how delighted a couple are with their wedding DVD, well I just won all over again! Wedding videography can be a strange business sometimes, no two couples have the same taste in filming or the music they pick for the final product. Over the years I have seen the way weddings are delivered – these times of course it’s DVD and also flash drives are making their way on stream. But I have always kept up-to-date with all the latest technology, including the new Sony cams, the very best in software, computers, and of course my own creative and unique way of filming weddings all wrapped into a professional, affordable and unobtrusive style. And by the looks of things it’s working both for the couple and for me, so happy days there! All photos are ((c) of Abbey Video. Well I hope you all had a fantastic Christmas, and a lovely time with family and friends as I did. And congratulations! if you have received that special ring over the Christmas holidays… or even if your are expecting it over new year! January is the time to start with your wedding planning , a new year and some great and exciting planning ahead of you, Give me a call if you are thinking of hiring a wedding videographer, and I can promise you wont be disappointed with my prices or quality. Wedding Video Bookings for 2018 are pouring in the last few days. Even January this year is as busy as July! It’s something I have never encountered before but is great to see. Even 2019 is well booked at the moment .Throughout the year, I have had to recommend some well heeled colleagues of mine to brides for whom I was booked for their date. If I am booked, I don’t just send them a name of the first videographer that springs to mind. I have a few professional guys that I hold in the highest regard and we always recommend each other, should one of us be booked. With this way of working, no couple will get the run around with different prices. I would never recommend someone I would not use my self. The last few weeks has been hectic filming weddings and school shows in and around Tipperary along with Kilkenny and Waterford as well as editing. But ALL my weddings even the last one on the on the 16th of December, was with the couple in time for Christmas for them to enjoy with family and friends over the holidays, I cant understand some videographers that I hear of leaving couples without their wedding DVDs for Christmas, Breda and myself make sure we have all the info for their wedding on our computer inc their titles, music choices, so when I have the film downloaded to our system we are ready to go! While looking back on last year, most visited wedding reception areas was Clonmel Park Hotel Hotel Minella, Clonmel, Hotel Kilkenny , New park hotel Kilkenny I also visited Waterford and Limerick. 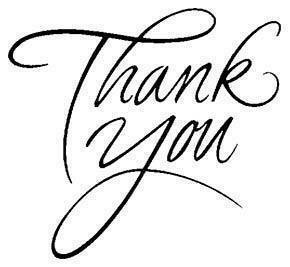 And I would like to thank all the hotels for their help on the day, and look forward to working in all the local hotels around Tipperary, Kilkenny and Carlow and the others again in 2018 So wherever you might be getting married, give me a call and I will give you the most competitive price you will find anywhere in Munster. 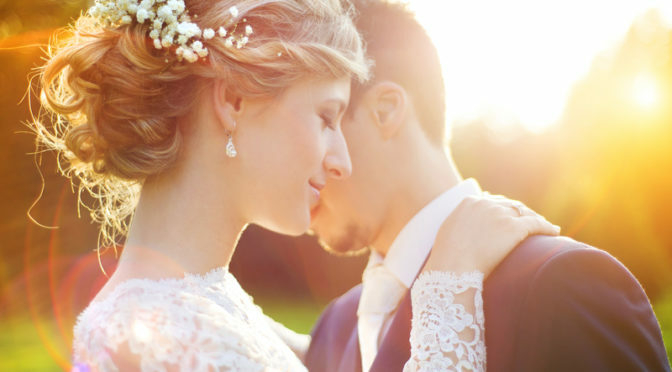 Weddings are huge business in every country, and your wedding needs planing a lot of planing I know I hear it all first hand so to help you along with your big day have a look at BRIDES IN MUNSTER again a local wedding suppler site but covering Kilkenny and Carlow for the local brides in 2015/ 16 its packed with 100% top notch wedding professionals covering wedding video , wedding photography, wedding cakes , wedding flowers, wedding rings, wedding dresses, wedding sweet carts any thing wedding its there! 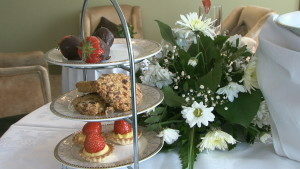 as I said before if you don’t see a Wedding a suppler on this great local wedding supplier site are they worth the call? Also I got many thank you cards over Christmas from couples whose weddings I have filmed over the year, with 80% of them from around Tipperary where most of my work is. It’s great to get feedback from brides, it shows we are doing a great job and they enjoyed their wedding DVDs. Wedding videography is a record of your day the way you would like it told, and along with our camera skills and editing this can be achieved. 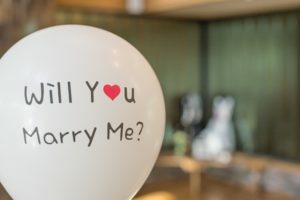 No wedding is the same and any videographer that goes out to do a job should never treat it like “yesterdays wedding” – every couple has different ideas of what they think their wedding video should look and feel like and I love to hear this, because it gives me a clear picture of what they are seeing. When the day arrives I keep this in mind, and work to achieve it. Not everyone woman aspires to be a June bride. 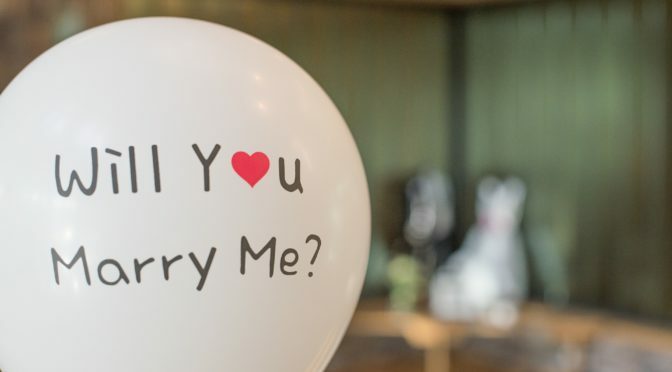 Couples who are tying the knot can find many compelling reasons to plan their weddings for any of the four seasons – spring, summer, fall, or winter. As someone experienced in marriage video editing, you’ve undoubtedly experienced weddings set in a variety of times during the years, and have seen the success (or failure) of different wedding themes as they interact with the challenges of the season the wedding is in. As a videographer,based in Kilkenny your insights are valuable. Not only in the planning and execution of the marriage videography and editing but in suggesting how your video presentation can complement the entire wedding planning effort. Here are some useful suggestions for how you can discuss with the bride and groom the ways your video presentation can capture the spirit of the season. A spring wedding is about color and the reawakening of the earth around us from the doldrums of winter. 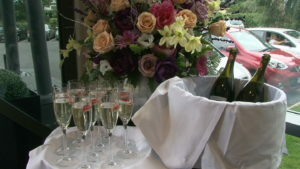 Smart wedding planning for spring will emphasize bright floral colors, with décor and clothing that is light and airy. Outdoor venues are often chosen, either for the ceremony or the reception, or for both. As a videographer, point out to your clients how you can capture the feel of spring by incorporating B-roll exterior shots of the venue or shooting back story elements that place the bride and her bridesmaids in a natural, colorful setting. Your wedding video editing can shine by incorporating the selective use of soft-focus and a shallow depth of field to complement the light and airy attributes of the décor and clothing. Summers can be hot, and smart wedding themes and videography will build a theme for the wedding around bold colors, spicy tastes, and a less formal approach. When consulting with your clients, stress how your marriage video editing can be used to capture the excitement of the day. Editing is the key to capturing the essence of a summer wedding. A fast-paced editing style, with judicious use of jump cuts, will instill more excitement than a more sedate approach utilizing longer shots slower transitions. Autumn brings to the wedding palette a rich selection of colors and hues, with vibrant earth tones a favorite focal point of the wedding design. Your marriage video editing can take full advantage of a well-considered and planned an autumn wedding, and here are a few suggestions you can make to your clients to capture the essence of the season. Consider capturing B-roll footage of the bride and groom in casual takes at a colorful fall location. One of my personal favorites is shooting the couple walking along a lake or pond where the fall colors of the trees are reflected. At the wedding location and reception capture, close-up footage of fall touches in the flower arrangements and table decorations to add to the effect. 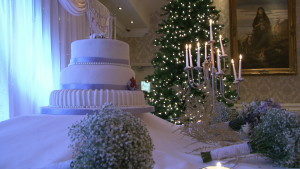 Winter weddings offer wonderful opportunities for dramatic and compelling videography. Your role as a marriage video editing professional provides an excellent opportunity to communicate with your client on ways to take advantage of the season. Winter weddings are complemented by sharp color distinctions that utilize the grayscale, while splashes of color from flowers, decorations, or even brightly colored canapes add a festive note. 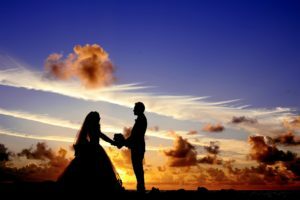 In your marriage video editing role, take advantage of these opportunities to pitch some dramatic ideas to your clients. Utilizing black-and-white effects, with colored highlights that pop from the screen, is an excellent way to create memorable images that will really satisfy your clients. And take advantage of the low winter light and darker interior settings to create dramatic shots within the main narrative or as complementary B-roll footage. 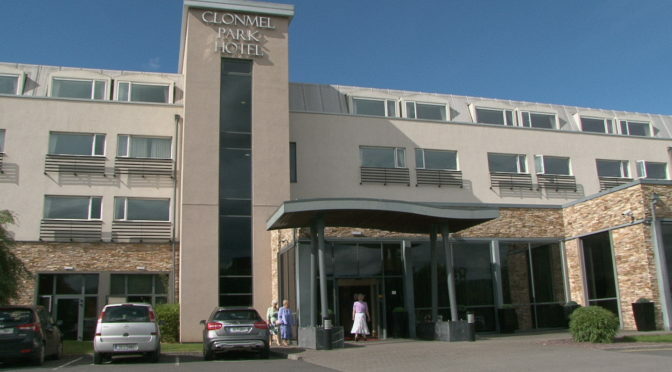 A lot of couples have asked me to review more hotels along my travels as an award winning wedding videographer covering Tipperary, Kilkenny, Waterford and Carlow, so this week it’s the turn of the Clonmel Park Hotel. 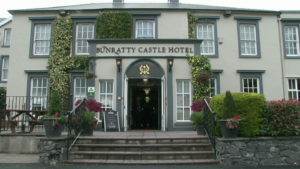 I have filmed lots of weddings in this hotel in Clonmel, and over the years have found it to be a fantastic hotel for weddings. I see upon arriving at the hotel that the red carpet is always at hand – it’s not rolled out too early so as to keep it clean, but when the bridal car arrives it’s all hands on deck and out goes the carpet nice and fresh and clean. The couple are greeted with a champagne reception on arrival and of course some fresh strawberries. I have always found the staff very friendly, polite and extremely helpful to all, including myself as a videographer in the course of my evenings work there. The couple are taken into the function room to see and give their approval of the seating and the details that have been placed on tables etc. Then it’s time for the photographer to set up the mock cutting of the cake – this is done at this time so that it’s a controlled and relaxed shoot. When this is done the couple are brought into the foyer of the hotel or the room that has been reserved for the couple and their guests to enjoy some much needed tea, coffee, and the fabulous food. I have always noticed there is no shortage of food at this time! 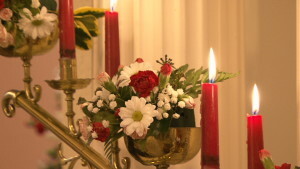 Any photos that need to be taken at this time can be completed before the meal, where there is a lovely stair case should the day be wet or cold. Another great hotel for the calling on time for dinner, this something some hotels slip on! 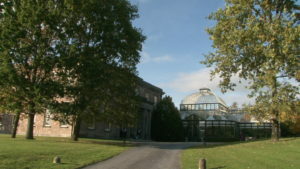 but the Clonmel Park Hotel. is ahead on this. The guests are called promptly to the function room where i notice there is never a mix up of tables or names ( well done on this ) as its some thing to add stress to a brides day! again the hotel has no problem having speeches before the meal, very important for the nervous speaker, again some thing where other hotels wont allow speeches before the meal, well if it was my wedding I would be saying i am paying enough for the hotel and I wish to have the speeches before the meal end of story. Any photos that need to be taken at this time can be completed before the meal, and the hotel have a lovely stair case should the day be wet or cold. 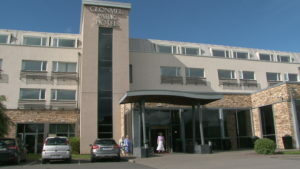 Another great hotel for calling guests in good time for dinner – this is something some hotels slip up on but the Clonmel Park Hotel is on the ball here! The guests are called promptly to the function room where i notice there is never a mix up of tables or names, thereby relieving the bride of unnecessary stress! 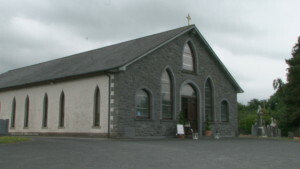 The Clonmel Park Hotel staff have no problem in allowing the speeches to take place before the meal, and this can be very important for the nervous speaker. Over the years and having been part of many weddings in the Clonmel Park Hotel I have not heard of an unsatisfied guest at a wedding there. From what I see on the day (and we wedding videographers don’t miss much!) the service is fast and friendly, and I must say I always find there to be a very good turn round of the function room for the nights entertainment. 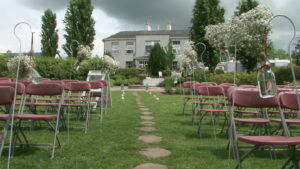 And any couple that I have worked with at the Clonmel Park Hotel have been entirely satisfied with their experience there – and isn’t that the most important thing! A little of what they say themselves on their wedding page below …. 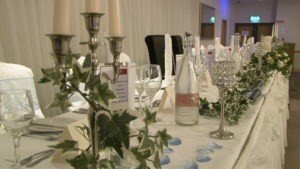 From crisp white linens to shimmering candlelight, gourmet food to unrivaled service – a wedding at the Clonmel Park Hotel will truly be a memorable occasion! So if you are looking for a wedding videographer to capture your wedding day give me a call, mail, or facebook message me, and we can have a chat and discuss your special day in the Clonmel Park Hotel, and you can see a full wedding DVD I have filmed in the hotel. Enquire today about your wedding at the Clonmel Park Hotel, let us roll out the red carpet and give you a spectacular day to remember. We just watched our wonderful wedding video and we couldn’t be happier! Joe did a fantastic job on the day and in the quality production afterwards!! Joe is an absolute gent and fit in brilliantly with our easy going day! We highly recommend Abbey Video and Joe! Thanks again for the great work!! Absolutely delighted with our wedding dvds. Thanks a mill Joe. You were just brilliant on the day. A dvd is the BEST way to relive all the moments of your special day! Would recommend it to everyone getting married. Hi joe well what can I say, the wedding dvd turned out absolutely amazing, the amount of detail you captured is just fantastic, from start to finish everything was included. It was so nice to sit down and watch everything as the day just flys and there’s no time to take it all in. You really went above and beyond for myself and jp on the day and we can’t thank you enough, you truly are an amazing videographer not only that you are such a fantastic person to be around, the laughs we had with yourself and Bernard on the day was great and made everything so easy for us. I will most definitely be recommending you to all future brides and grooms ❤️thank you so much again for everything. 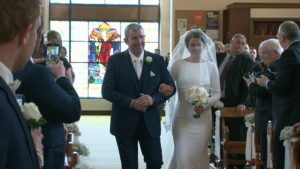 Hi Joe our wedding dvd is amazing thank you so much we are delighted with it. You caught some amazing moments that we didnt even know happened! Mrs2Be Brides’ Choice Awards 2016. As a popular wedding videographer here in Kilkenny and covering Tipperary , Carlow, Waterford and all the other towns villages and cities around, it’s fantastic to have been chosen as a finalist for the Mrs2Be Brides’ Choice Awards 2016. Over the years I have worked hard to understand the needs of couples who choose me as their wedding videographer for their special day, every couple has different ideas for their wedding video production and I encourage each bride and groom to give me their ideas and what they might like in the final production … after all it’s their day. Down through the years I have invested both time and money to keep up with the latest cameras, editing software and all the bells and whistles that go along with the job as i feel only the best is good enough for your wedding day. I don’t use wedding fairs, I have attended 2 in all my time as a wedding videographer, as i feel a lot of the couples that come along on the day often have their wedding suppliers booked before hand, and that can include me! So I work on the “word of mouth” system and it really does work. As you are reading my blog you will see I also depend on my website like any other business, and of course a quick google and you should normally find me at the top of your search both in Tipperary & Kilkenny – I’m working on the other counties as we speak. 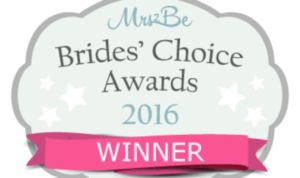 Getting back to the Mrs2Be Brides’ Choice Award 2015, every wedding I cover and produce both locally and everywhere else is an Award for me as the feed back I get is truly out of this world and 100% recommendation from Brides & Grooms. 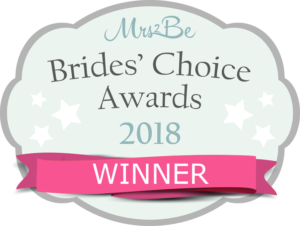 So I get Awards every year in my own way when couples contact me after they have viewed their wedding dvd and tell me that not only did they like their dvd but loved it and are so glad to have got a wedding video. So a happy customer is happy days! But of course in saying that the Award would be nice to receive, but we will let the powers that be make that choice, there are a lot of other fantastic videographers around the country and I wish them all the best. 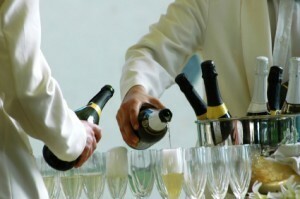 The wedding industry is booming at the moment and next year looks like a bumper year as well. The budgets are still in place of course and rightly so, but I have often said you get what you pay for. 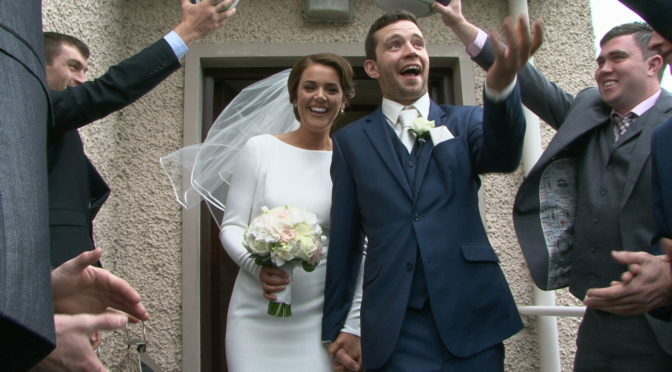 Of course you can get your wedding video for 300 euro for the full day but is that all your memories are worth? The average price for the day can be 750+ and I think that’s fair – it often can be an 11 hr day and that’s only the wedding day, editing has to come into play after that. So I would say if your are planning on getting married and having a wedding DVD give time choosing your videographer. You don’t need to pay 900+ unless it’s a 2 man crew with 2 manned cameras, if that is what you need go for it, but I like to film with the “fly on the wall” approach. This way both you and your guests are often unaware of cameras there at all, but of course all the little details get covered, with your guests enjoying themselves and your full day captured in detail. Over the years how things has changed …. Hi all, and welcome to this month’s wedding blog. I’m Joe at Abbey Video Productions. When I started wedding videos here in Tipperary and Kilkenny, the cameras were BIG with a large cassette in. Thankfully, those times have passed and technology has moved on. My new cameras are Sony pxw- x180s. These cameras are so easy to carry, are lightweight and have much more flexibility. 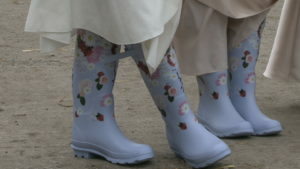 They are also much less obtrusive which is very important on a wedding day. The use of SxS mem cards means less storage space is needed, and drop out from the old VHS tapes are long gone. HIGH quality is very important to me as a videographer here in Tipperary and Kilkenny, along with low lighting. Capability is a must, as no one likes a video light; again these days are gone. Editing systems : Where do I start? And do you really need to know all the technology of it? Probably not! But let me give you a quick overview. I use two editing systems — Vegas Pro 13 and, of course, the old faithful Pinnacle Studio 14 HD for smaller projects. The editing system is only as good as the camera person: If your shots are not framed right or are shaky, no editing system will fix it 100%. So that’s where expertise in filming comes into play. But, of course, what’s a wedding video without a few nice, gentle special effects. That being said, I don’t like to overdo them, as they look tacky. I have seen some wedding videos with butterflies floating around the screen, or some gold dust falling over the bride as she walks in a park … tacky! Well its not new, but Flash drives with your full wedding along with chapters have now been in for a while I have delivered some weddings on them and the quality is fantastic, but not every household has a TVs with a flash drive slot so the good old DVD is here for a while yet, but the Flash drives will soon be our main format for delivery The reason is that it will allow us to supply your wedding footage in broadcast high definition quality, all my weddings are recorded with the very latest Sony pxw- x180 cameras so its time to make the change and let couples really enjoy better than 100% quality. Well, it’s not new, but Flash drives with your full wedding along with chapters have now been in for a while. 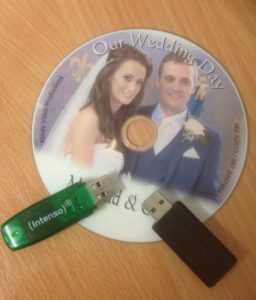 I have delivered some weddings on them and the quality is fantastic, but not every household has a TV with a Flash drive slot. So the good old DVD is here for a while yet, but the Flash drives will soon be our main format for delivery. The reason is that it will allow us to supply your wedding footage in high definition quality. All of my weddings are recorded with the very latest Sony pxw- x180 cameras, so it’s time to make the change and let couples really enjoy better than 100% quality. While I am based in Tipperary, but I also have a huge clientele in Kilkenny, Carlow, Waterford, Wexford, and everywhere around Ireland, really you could find me anywhere. 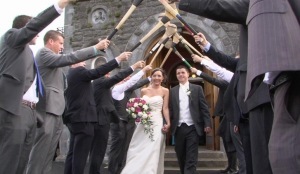 Tipperary is, of course, my local area and I love local weddings. 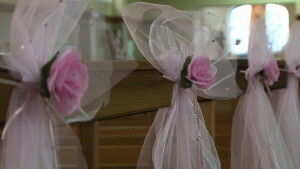 It’s great to be asked back to film a wedding for a family that I have all ready worked for. That’s ‘word of mouth’ and the BEST way to do business. Kilkenny is my next area, as it was in the Kilkenny/Carlow area that I filmed one of my first weddings. 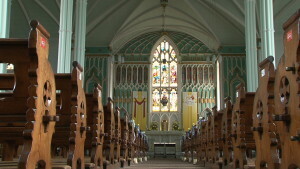 Only last week, I was in Bagenalstown, Co. Carlow with the reception in Mount Wolseley but, as I said, I love to film. So wherever your wedding is, give me a call and let’s chat about your special day. After all, I do have the experience. everything you might need for your wedding day, from, of course, Abbey Video Productions Videographers, Photographers, Flowers, Wedding cakes, Wedding dresses… the lot! 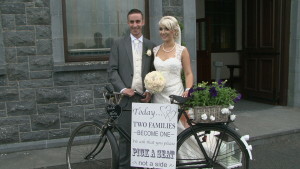 “Hi Joe our wedding dvd is amazing thank you so much we are delighted with it. You caught some amazing moments that we didnt even know happened! Speeches before or after the meal? 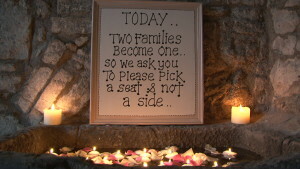 Just filmed 2 wonderful wedding videos in Kilkenny last week-end, both quite local to me. 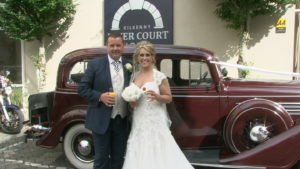 Nicola Gleeson from Killenaule, just a few kms from Cashel, was married to John Cleere, also from Killenaule, in Moyglass Church and the reception was held in the Kilkenny Ormonde Hote. The next day I was in Kilkenny city itself with Kelly and Brandon and their church was St Mary’s Cathedral in the heart of Kilkenny city with reception in Langtons Hotel Kilkenny. This year I am booked for a large amount of wedding videos in the Killenaule and Mullinahone areas with Kilkenny and Tipperary being my main wedding video catchment area. I will also be back to film another wedding in Moyglass / Killenaule this Friday! At both of these weddings the speeches were held before the meal and I have noticed of late this trend is getting more common. I understand with hotels they have to keep the meal hot while the wedding speeches are being conducted, but from feedback from couples 70% now want their speeches before the meal. This way all involved in the speaking can relalx and enjoy their meal knowing it’s done and dusted! It’s a great idea for people that are not used to public speaking. Of course from the hotel’s side of things this can be a nightmare! The bride and groom tell the hotel they will only be 15 minutes but I have see this 15 mins drag on to an hour! The poor chef is doing his best to stop the veg from sticking to the pans, so i can understand why the hotels frown on this! If your speeches are going to be before the meal tell the hotel this and stay to an agreed time-frame – this way your guests won’t be eating cold food and all will be happy. The traditional scenario of having the speeches after the meal is fine as well, but think of the groom & best man and also the dads all sitting there eating their meal thinking the speeches have to be done soon – it can and will put them off their meal. 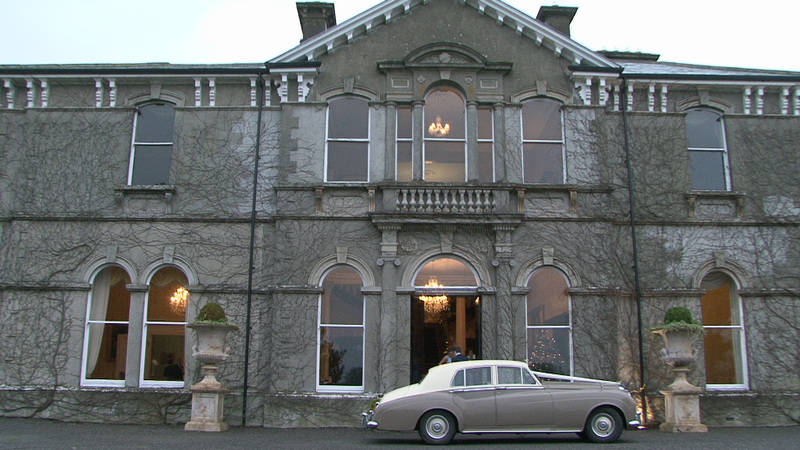 Getting back to recent weddings: Saturday’s wedding reception was in Langtons Hotel in Kilkenny. 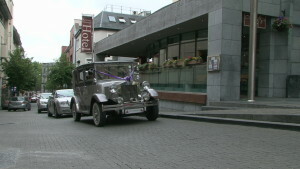 The couple arrived at the hotel after the photo shoot in Butler House and Kilkenny Castle with their photographer John Delaney Photography. Sean, the manager at the hotel who is a fantastic guy, was happy to see the couple arrive at the hotel early as their speeches were being held before the meal, so this worked out great for all concerned. Friday’s wedding was in Moyglass and the reception was in the Kilkenny Ormonde Hotel. 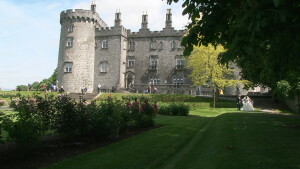 Again after the church we went to Butler House and Kilkenny Castle for the family photos and their photographer was local man Eamonn McGee from Thurles in Tipperary. Once again when we arrived to the Kilkenny Ormonde Hotel every thing was done with the photographs and this is what the hotel wants when the speeches are before the meal. The couple had time to mingle with their guests, whereas often they don’t get time to meet people until later after the meal. I tend to recommend to couples when they ask to book my wedding videography services here in Kilkenny that they should give themselves about 1 hour with their guests before the meal is served as often I have seen couples arrive to the hotel from the photo session only to be rushed into the dining room as its so late and their plans to have the speeches before the meal have to be abandoned.